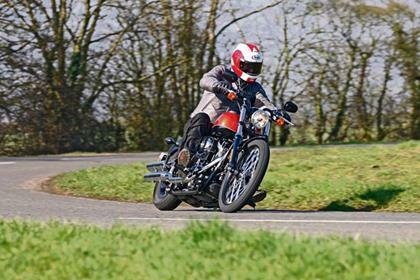 On face vale, the Harley Blackline should be a great addition to the Harley range, using the proven big twin powertrain and Softail chassis and dressing is up according to the latest ‘blacked-out’, pared down bobber fashion. Trouble is, style has won over substance. Though it looks good, the riding position is agonizingly extreme and unadjustable – so much so it’s almost unrideable – and it’s also questionable value compared to the rest of the range. Harley say they may rework the ergonomics. Until they do it’s impossible to recommend. The Harley Blackline might look good… but it rides blooming abysmally. 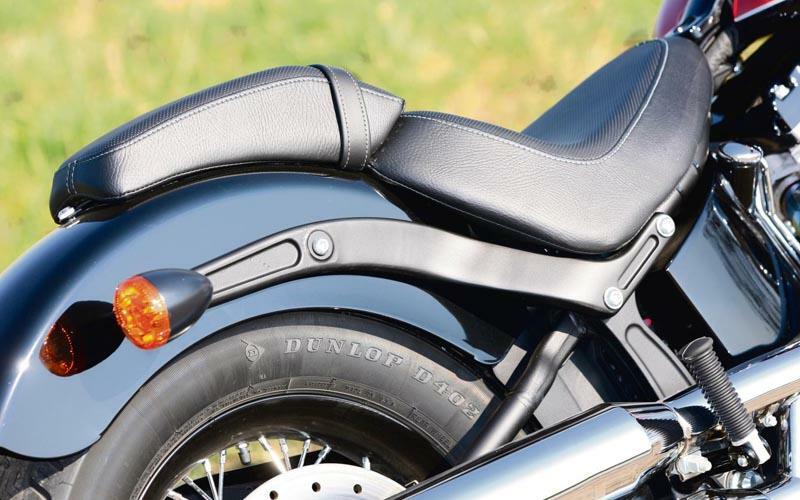 Basically it’s down to the Harley Blackline’s extreme riding position. 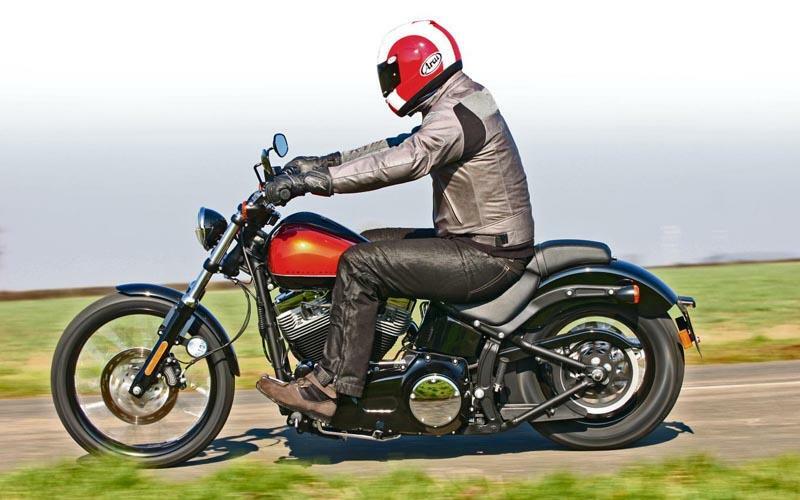 Highway pegs are familiar and excuseable, but combining them with the ultra-low seat and extremely forward drag bars leaves you pretty much bent double and stretching for the grips. I found it awkward instantly and painful after barely two miles at pedestrian speeds. After 20 miles of 60mph B-roads my elbows ached, my teeth were gritted and I wanted to get off. That route is normally a joy on any bike, especially with the first onset of spring. On the Blackline is was, quite literally, a pain. Power for the Harley Blackline is c/o the usual 45-degree Harley push-rod ‘Big V’ (currently in 1584cc guise) between yer knees which, whatever it lacks in modernity, remains adequate, characterful and class-definingly authentic. 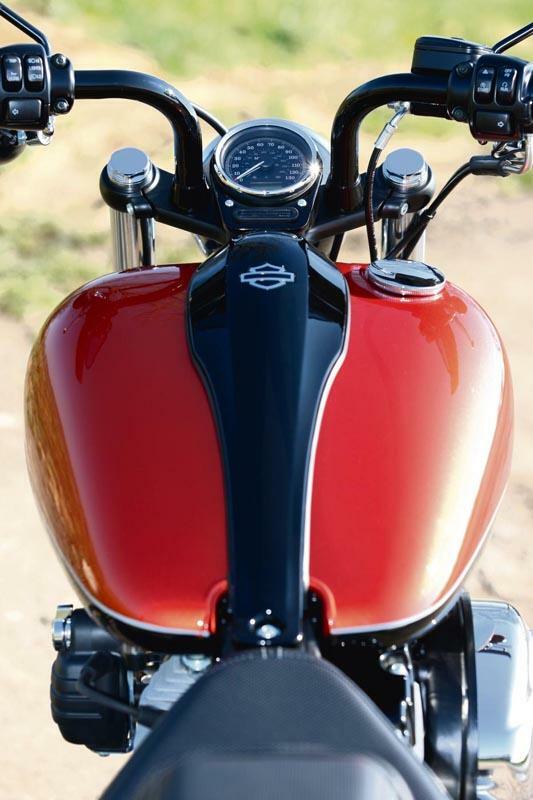 Admittedly the Harley Blackline’s all been done mouth-wateringly well – Harley are dab hands at ‘eye candy’ after all. The curved profile of the wheel rims is beautiful; those bars are impressively simple and neat; the paint and metal finishes are predictably fabulous and the minimalism makes most other customs look like a handbag from The Only Way is Essex. It looks good and, just as importantly, any rider’s reflection in a shop window looks good, too. Meanwhile, reliability-wise, although too early to be sure, the drivetrain is familiar and proven and Harley has a good record. In this two-tone spec, the Blackline’s listed at £14,545. And, I’m sorry, but that’s not just ridiculous (especially when you could get a largely similar but more comfortable and practical Harley Superglide Custom or Wide Glide for around £11K) I also find it insulting when, in reality, considering its minimalist approach, you’re actually paying more…for less. Yes, Softails are all more expesnive than the twin shock Dynas, but normally you get a lot more, too. Fairly standard fare. The Harley Blackline is basically a Softail Custom (ie big H-D V-twin + Softail/hidden shock rear + ‘chopper’ skinny 21in hoop and wide/kicked out forks front) which has been around in one way or another since 1985. Or, to be exact, it’s a Softail Custom with a couple of bits thrown away and a couple of other bits finished black instead of chrome. There’s a speedo and some idiot lights and… that’s about it. 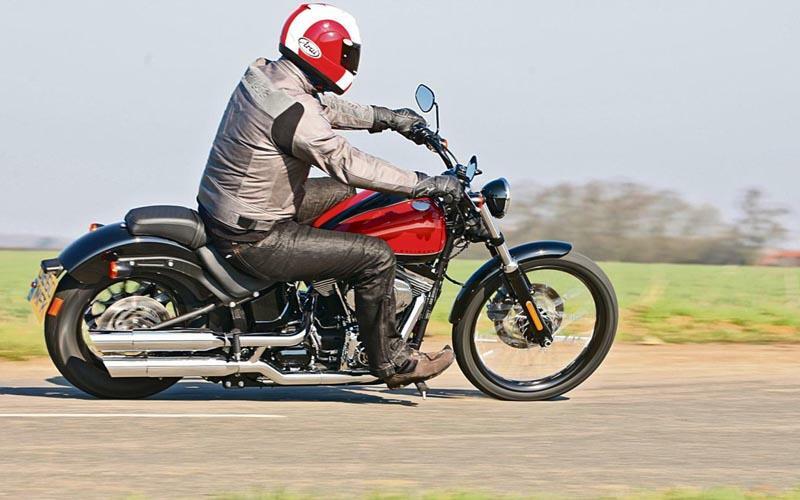 1 owner has reviewed their HARLEY-DAVIDSON BLACKLINE (2011-2012) and rated it in a number of areas. Read what they have to say and what they like and dislike about the bike below.